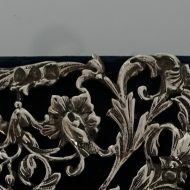 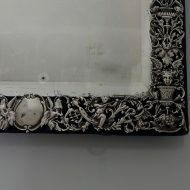 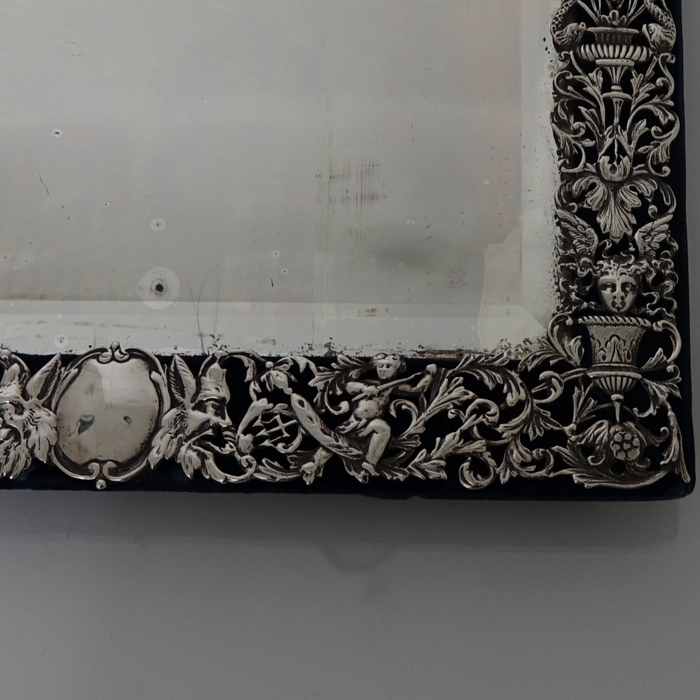 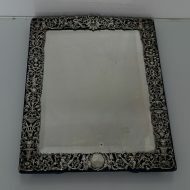 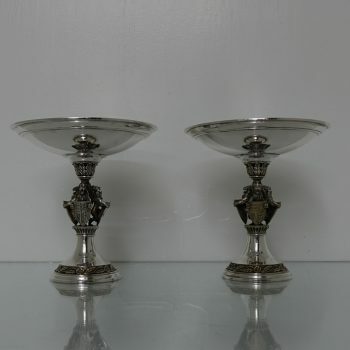 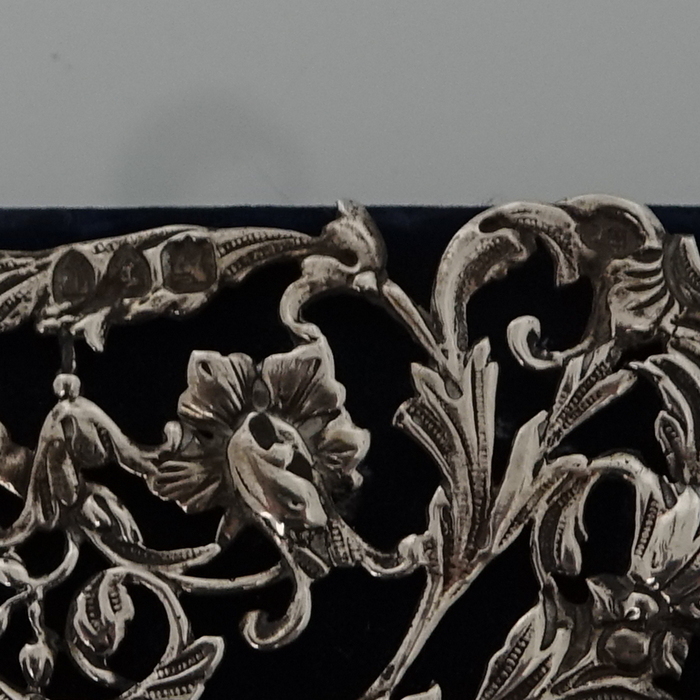 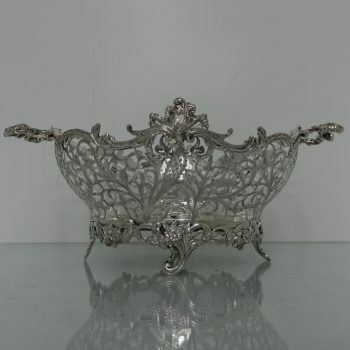 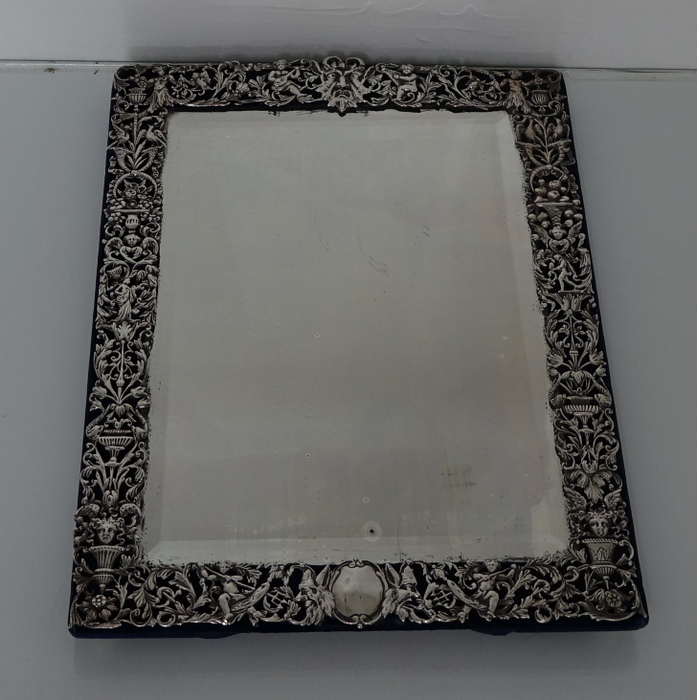 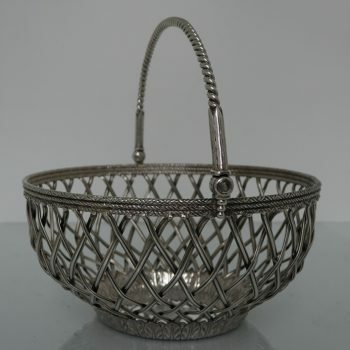 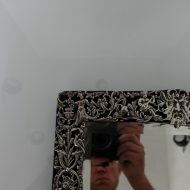 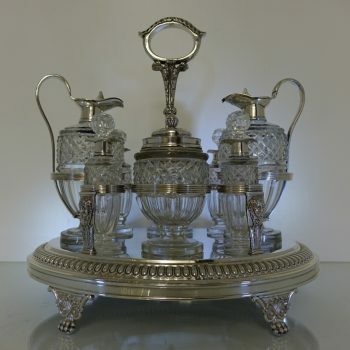 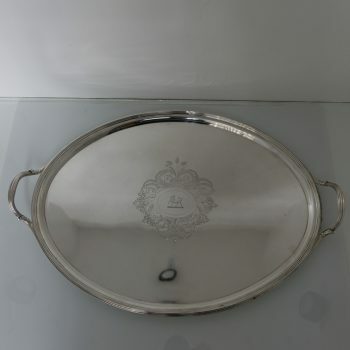 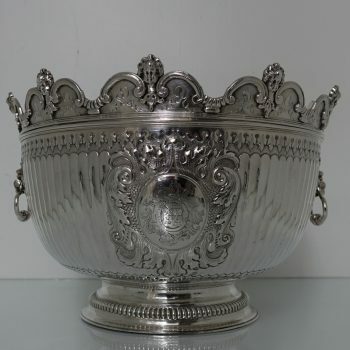 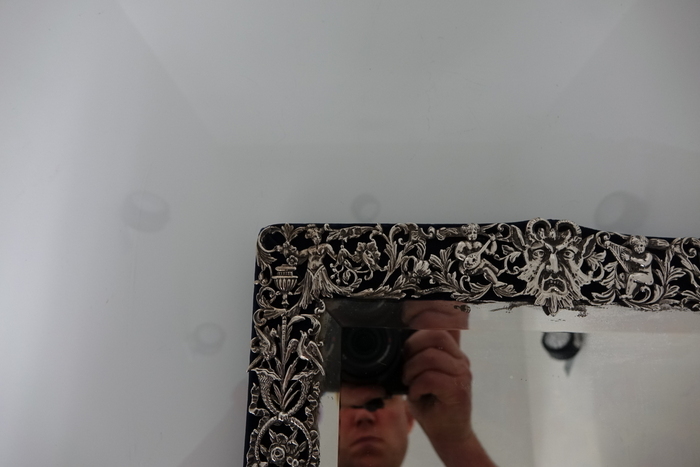 A very large 19th century rectangular silver mirror ornately decorated throughout. 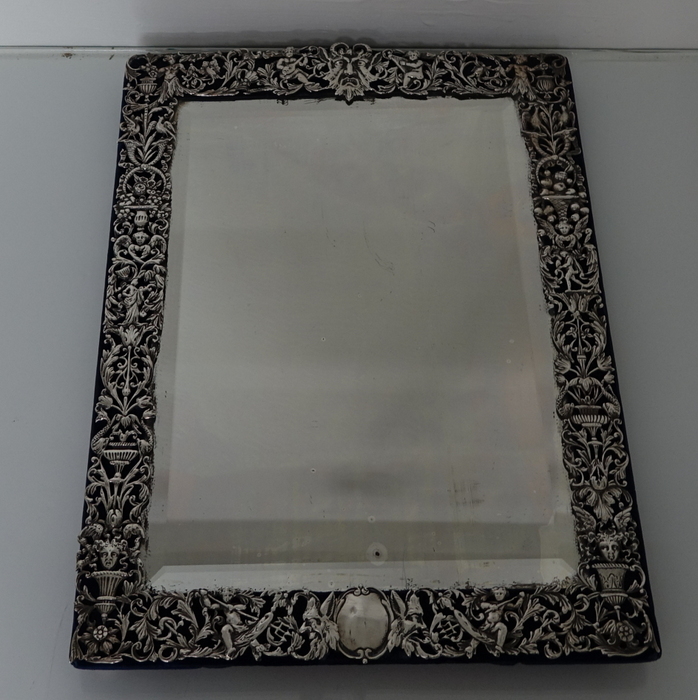 A very large 19th century rectangular silver mirror ornately decorated throughout. 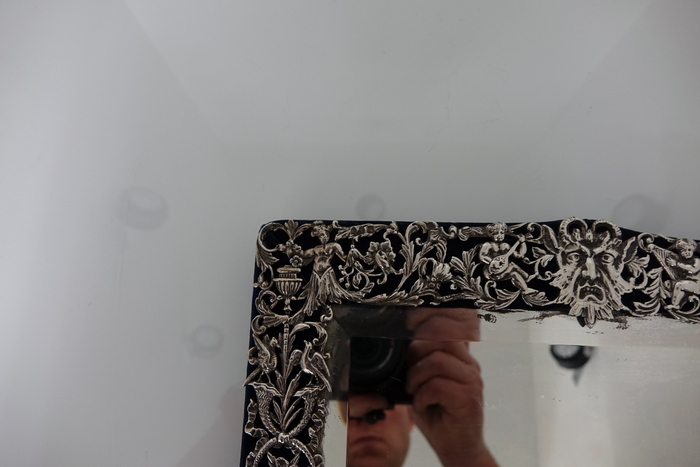 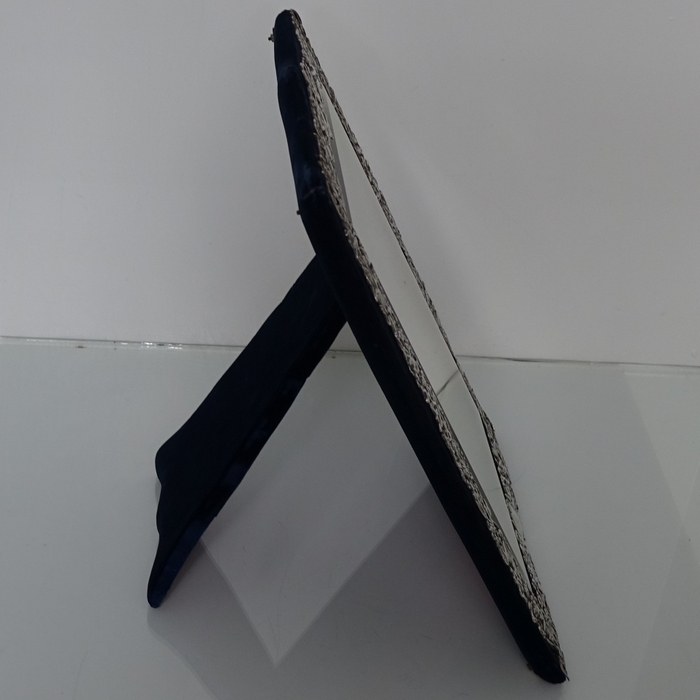 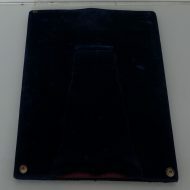 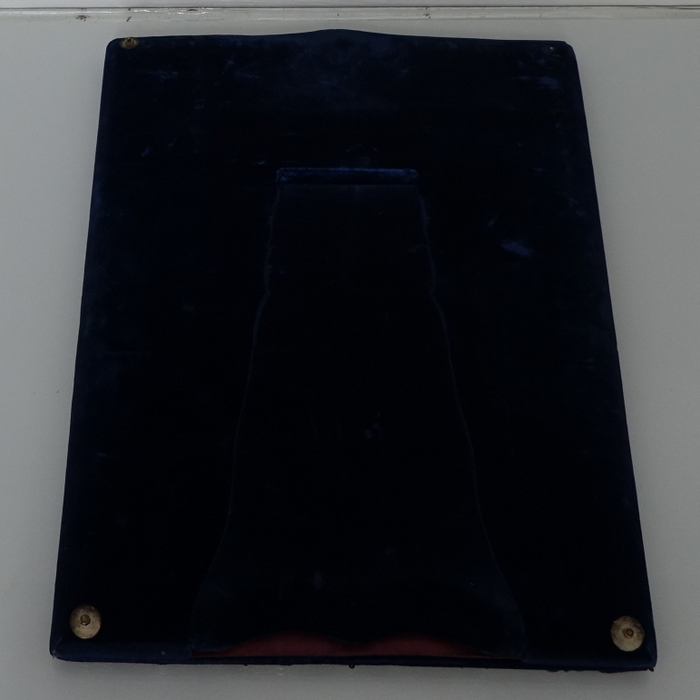 The mirror has its original glass and has a blue velvet lined backing with an easel stand.